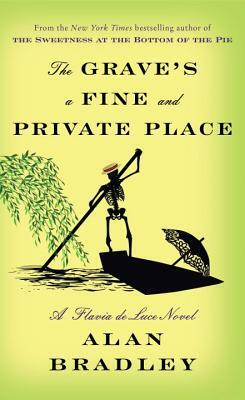 Oh, how I love the mercenary mind of 12-year-old Flavia De Luce. Like Louise Penny and Laurie R King, Alan Bradley succeeds in writing mysteries whose nuanced characters drive the story as much as any plot-device. The ninth book in this series is no different. The young chemist with a fondness for poisons, is accompanied by her two sisters and Dogger, the family friend/servant, on a boating trip, when she almost immediately hooks a body. Not just any body- this body is the son of a notorious poisoner- just the thing to rapturously distract our macabre little heroine from the enormous loss her family is (in their reserved, very British way) attempting to reconcile.